SCP offer an Adjustable Steel Trench Strut which features clawed end plates to support and grip the trench lining. All Adjustable Steel Trench Struts are thread rolled so there is no cutting away of material or loss of strength. 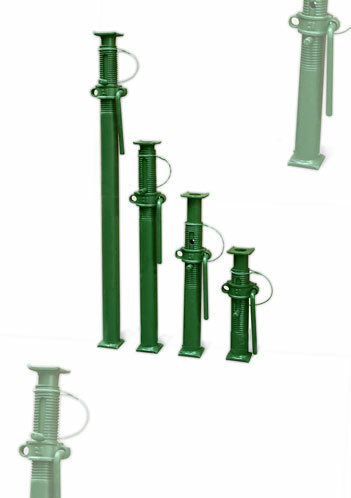 Adjustable Steel Trench Struts are available in sizes No.0 to No. 3. All SCP Trench Struts are manufactured in accordance with our ISO 9001:2000 quality system accreditation. All Struts are manufactured to BS4074:2000. Sizes 1, 2, 3 supplied with captive inners. Safe working load: 3 tonnes, any size, any extension.